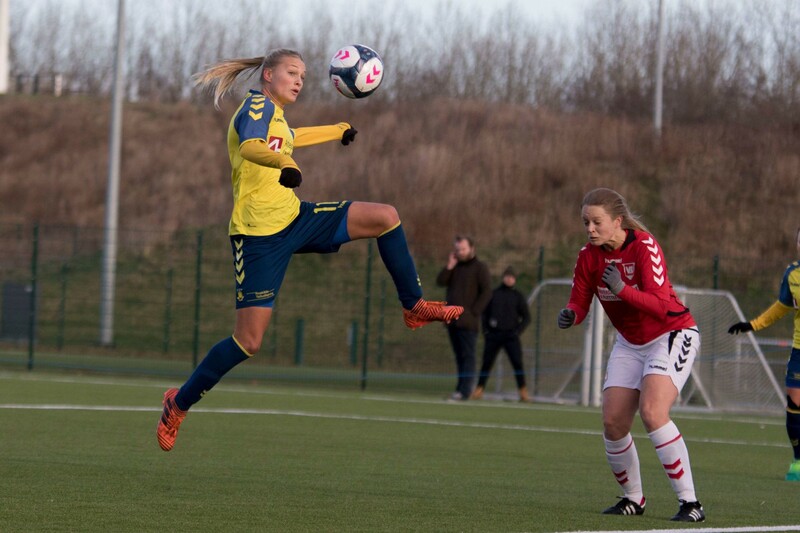 Stine Larsen was named the DBU’s 3F Liga Player of the Year 2017 after a successful 12 months with Brøndby. In early 2017, Brøndby secured the domestic league and cup double over rivals Fortuna Hjørring, Stine’s second and third respectively. Then, in the first half of the 2017/18 season, Stine scored 11 goals in 13 starts, as Brøndby finished the first-half of the season in second place, ahead of the Slutspil. In between, Stine played a key role in Denmark’s second-place finish at the Women’s EURO 2017 Championships — and has continued to represent the Dane’s during their World Cup qualifying campaign.